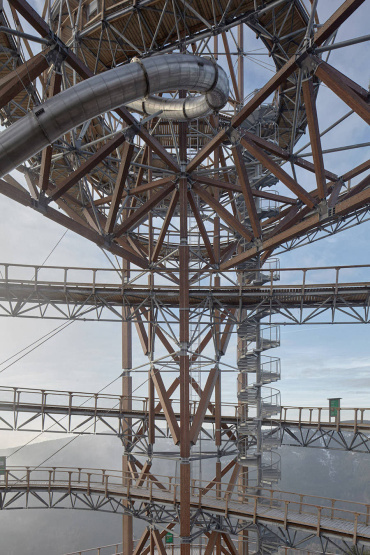 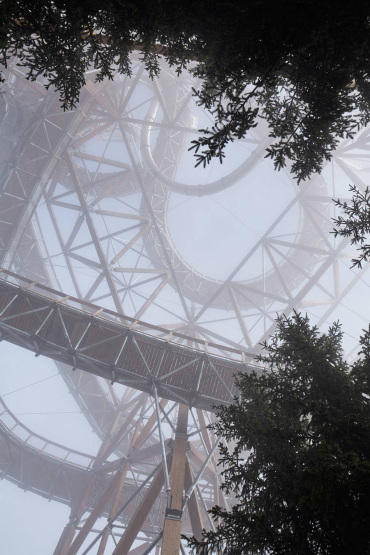 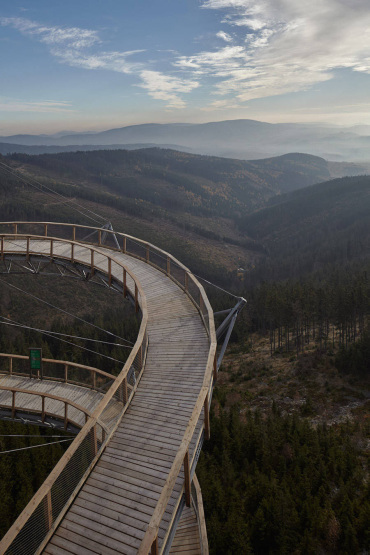 Located about 1,100 meters above the sea level and on the the Morava River in the Czech Republic, Dolni Morava Sky Walk is located in the mountain of Králický Sněžník. 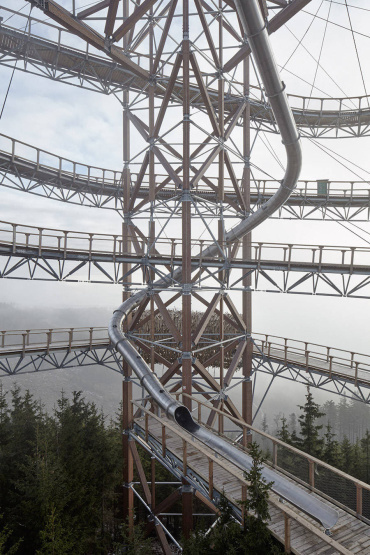 Seeing from far it looks very much like a roller coaster. 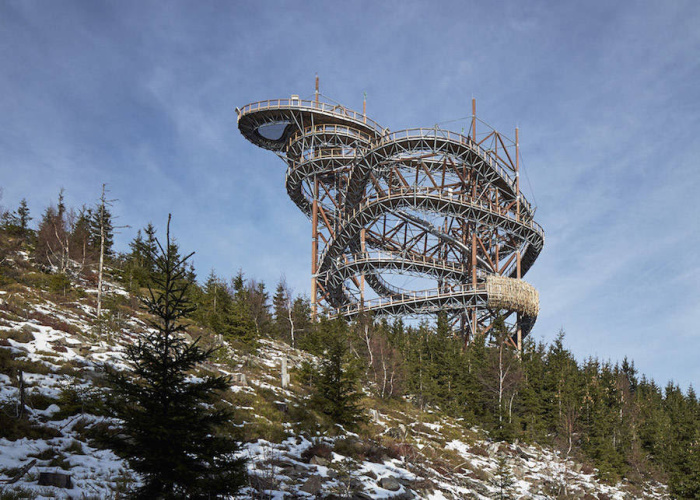 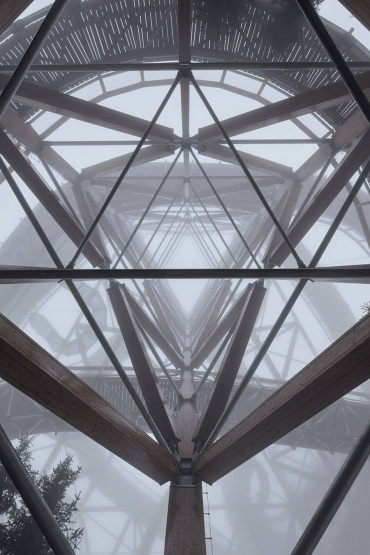 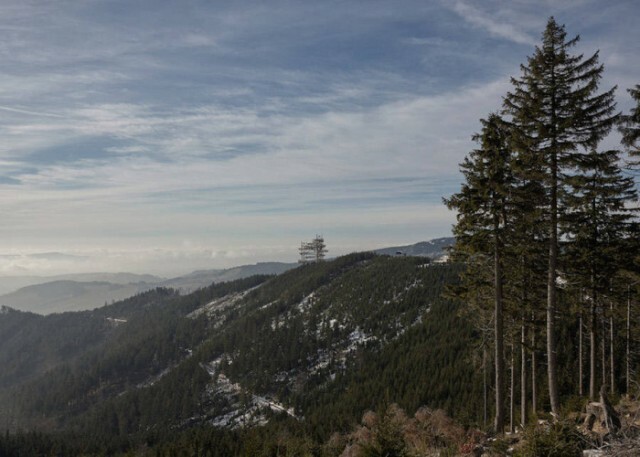 This structure is actually a walk that allows the tourists to touch the clouds and admire the panoramic view overlooking the Krkonoše, once you reach the top. 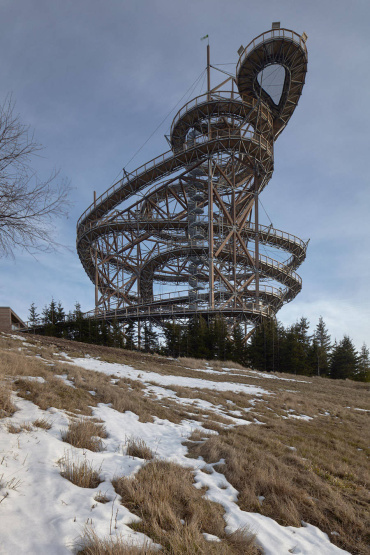 Built by Fránek Architects , this also includes a 100 meters high slide and is equivalent to going down 18 floors. 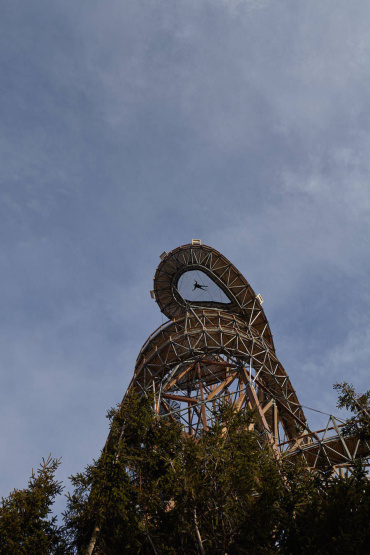 To top it all, it is accessible by wheelchairs and strollers.